Time to chit chat about a new obsession of mine…another watch. Watches are just so much fun and they really class up a simple outfit aka my typical jeans and tee get-up. This is the Nolita Blue Crystal watch from Rumba Time Watches and it is just so gorgeous I can’t get enough of it! Right now, this watch is on sale from $60 to $40 and can you just take a look at the gorgeous detailing? I really enjoy how the jewels are weaved into the bracelet because it’s a subtle addition and makes the watch even classier. 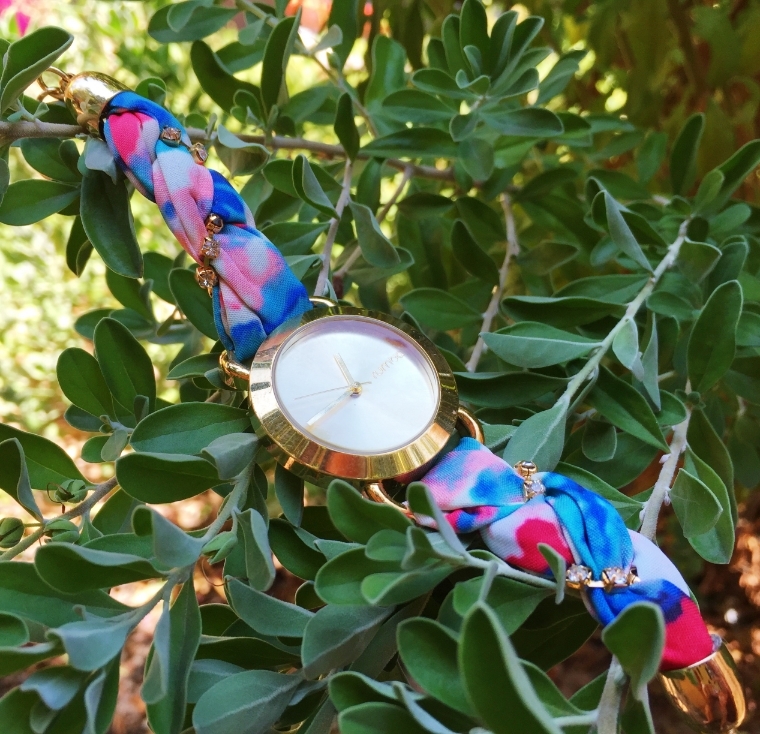 It’s also a comfortable watch to wear as it doesn’t scrape the skin and you can adjust the sizing easily because it goes on your hand like a bracelet (super cute that way!) So what’s stopping you? Head over to check out Rumba Time for yourself! I’d love to hear what your favorite watch is at the moment?